Objective: To investigate the prescription of Chinese medicine tablets and to explore the method of rational evaluation of TCM. 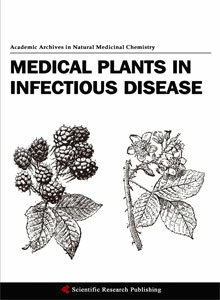 Methods: In this study, a literature survey method was used to collect the documents published in 2001-2016, including the data of prescriptions of traditional Chinese medicine and data on the use of TCM decoction, the required information is extracted through a unified screening standard and data processing method, and data statistics and analy-sis are carried out by using descriptive methods. Results: A total of 2498 literatures were col-lected and 71 were selected, and 2,243,799 prescription data were collected from 51 medical institutions in China from 2001 to 2015. 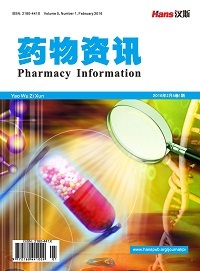 According to the analysis, there were 91.89% of pre-scriptions containing drugs within 20 flavors, and the average weight of each dose was 212.51 ± 31.02 g, and the average prescription cost was 23.81 ± 12.22 yuan per dose. Conclusion: The prescription reasonableness evaluation method should make the specific stipulation of the pre-scription containing the number of medicine within 20, the prescription average weight within 600 g, and the prescription expense should be the guidance requirement; we should continue to strengthen the management requirement of TCM diagnosis and treatment and prescription, and quantify the management data so as to effectively monitor the actual situation and medical quality of TCM diagnosis and treatment in hospitals. 孙冲. 《处方管理办法(试行)》的新规定及执行中存在的问题[J]. 中国药房, 2005, 16(6): 11-12. 卢晓阳, 盛飞剑. 《处方管理办法(试行)》实施现状、存在的问题及建议[J]. 中国药房, 2005, 16(4): 244-246. 薛庆海, 薛凯, 刘治中. 中药饮片管理工作中存在问题与对策[J]. 中国中医基础医学杂志, 2009(3): 219. 杜珠英, 郭玫妍. 中医院中药处方合理用药分析[J]. 卫生经济研究, 2016(7): 58-60. 唐仕欢, 杨洪军, 黄璐琦, 等. 中医临床处方饮片用量调研报告(内科) [J]. 中国中药杂志, 2008, 33(21): 2257-2263. Dechambenoit, G. (2017) Physicians, Ethics, and Hospital Management. World Neurosurgery, 104, 977. 司富春. 关于建议国家加强对中药价格监管的提案[J]. 首都医药, 2011, 18(7): 31. 陈达, 王火旺. 对近几年我国中药材价格波动情况的分析与思考[J]. 价格理论与实践, 2012(11): 29-30. 范晖. 影响中药商品价格的因素与定价策略[J]. 价格月刊, 2013(5): 42-45. 申远, 张海波, 袁盼, 等. 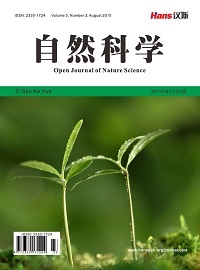 中药材价格波动及其治理机制优化研究——中药材非市场因素分析[J]. 价格理论与实践, 2016(8): 74-76. 王诺, 刘书真, 杨光. 基于向量自回归模型对我国中药材价格波动影响因素的探讨[J]. 中国中药杂志, 2014, 39(20): 4070-4073. 任长秋. 中药材价格变动成因及影响[J]. 人民论坛, 2011(2): 144-145. 付晓, 唐昌敏, 张霄艳, 等. 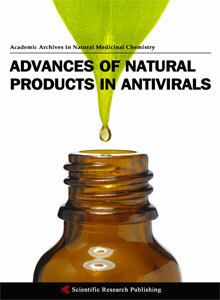 基本医疗保险监管效率评价研究[J]. 中国卫生经济, 2016, 35(6): 19-21. 马继龙, 陆方. 分级诊疗背景下医疗机构间医生协作意愿分析[J]. 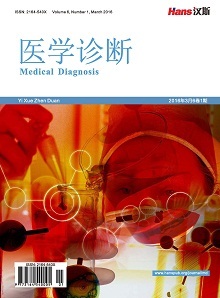 中国医院管理, 2016, 36(6): 13-15. 谭一蔓. 适时放开药品最高限价强化市场监管与医保控费——药品价格改革的观点综合述评[J]. 价格理论与实践, 2015(4): 20-22. 薛大东. 医疗体制行政化管理的缺陷及其改进——基于医疗资源配置效率与公平的视角[J]. 中国医院管理, 2013, 33(8): 1-3. 陈爱雪, 纪玉山, 何南芙. 医疗体制改革应防止过度市场化[J]. 经济纵横, 2013(8). 王浩林. 医疗费用价格与医疗卫生管理体制改革探讨[J]. 价格理论与实践, 2012(1): 37-38. 梅全喜, 曾聪彦, 吴惠妃. 中药处方点评实施要点探讨[J]. 中国医院药学杂志, 2013, 33(15): 1272-1275. 李茜, 唐迎雪, 刘持年. 中医临证处方规范化浅析[J]. 中华中医药杂志, 2016(5): 1770-1773.